Dianne is a vocalist and Principal Artist of Creative Leaps International, and serves as Artist Council representative on the ASA board. A graduate of the New England Conservatory and The Juilliard School, Dianne Legro has starred in countless musical theater productions including the Broadway revival of My Fair Lady. She is also an accomplished recitalist, cabaret artist and opera singer who performs to critical acclaim coast to coast. Paralleling her work on stage, Legro completed advanced studies in Bioenergetics, Alexander Technique and Yoga applying these competencies to peak performance training, stress management, and leadership development in the business sector. 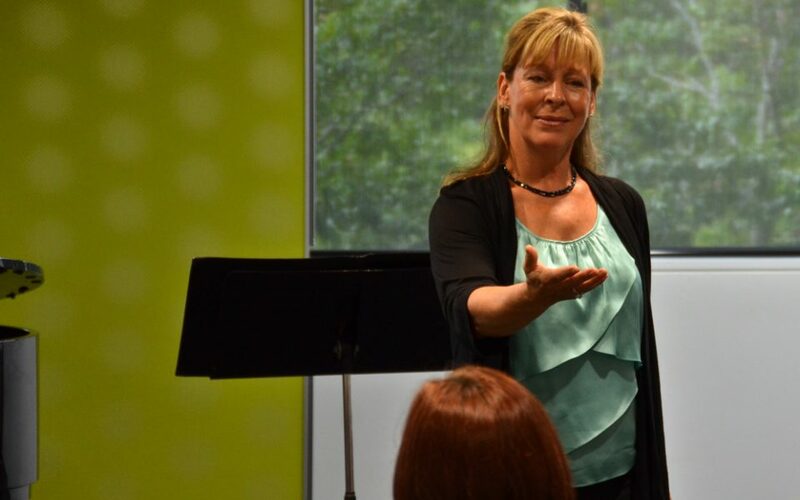 Her dual background in theater and wellness sciences can be felt in the highly imaginative and engaging approach she brings to her corporate sector workshop Inner Balance. Learn more about Dianne at www.diannelegro.com.